Biomapas is a leading CRO offering services to pharmaceutical, biotechs, and medical device companies. We provide solutions in Clinical Trials, Regulatory Affairs and Pharmacovigilance services in Europe and CIS markets. Our experience in Phases I to IV spreads across a wide range of therapeutic areas, but not limited to, CNS, cardiovascular diseases, oncology, neurology, rheumatology, pulmonology. Biomapas guarantees quality, ISO 9001 compliant services in line with Good Clinical Practice (ICH-GCP) guidelines and standard operating procedures (SOP). Specialties: Full-service CRO, Clinical Development, Regulatory Strategy, Marketing Authorization, Post-Authorization Support, European Union, Eastern Europe, Russia, CIS. 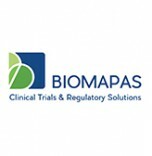 For more information, please visit our website www.biomapas.eu or contact us directly info@biomapas.eu.